November 1 2019 we share ideas worth spreading with our local and global TED and TEDx audience. We are currently planning the event, and would like to invite you to join the party by nominating a speaker or joining our crew. If you want to get in touch, then please do. Join our 12-hour motivation-marathon in the heart of Arendal. Tickets will be available from May 2019. World class speakers on a world class stage! At TEDxArendal we bring the best regional, national and global speakers to share their ideas from our stage. The speakers on our stage, the partners we wish to be associated with and the crew that makes it all happen – its not random! Our speakers are carefully selected to ensure variety in our program. They are selected to make sure our audience go home inspired. One should never stop learning, and we want our online and live audience to learn something new, therefore we to try to innovate ourselves continuously in finding speakers with a fresh idea. Our partners is the reason for our existence, they are vital contributors to ideas worth spreading. 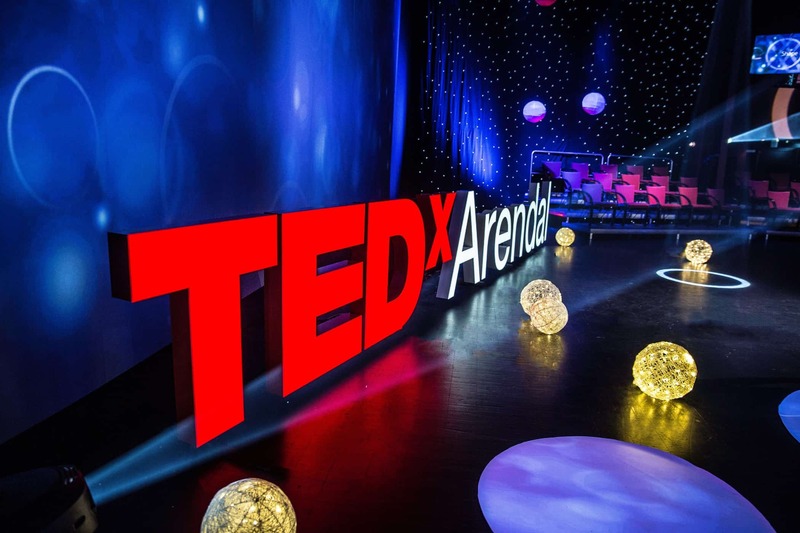 Without the support from the people within those organizations, TEDxArendal would not be possible. To get to know them better, you can do that here. We will let you know as soon as tickets are available. Meanwhile, you can see all our great TEDxArendal talks to gain knowledge and get inspired. We can’t wait to see you at TEDxArendal on November 1, 2019.